Sandeep Arora is a senior chef who has been working as the Chief Chef in the top hotels of India for twelve years now. He has written many articles on restaurants in mumbai. In this article he is providing us with some valuable information on Indian snacks and sweets. The authentic and captivating cuisines of India with its use of exclusive spices are distinguished and admired all over the world. The spices and herbs add to that special charm and flavour to the Indian delicacies which is simply amazing and people from across the world fall for this. Indian people love to indulge themselves in a variety of snacks. The delicious and regional snacks have grown in their choices as the range of snacks has enlarged with the advent of snacks industry. The Indian snack lovers can pamper their tongue with a wide range of snacks that do not compromise with the scrumptious taste and flavour. Indian snacks in mind blowing taste of salty, sweet, sour, yucky and yummy mesmerize the taste buds of all. Among the most desired Indian snacks Chaat and namkeen undoubtedly deserve a special place. The lip-smacking, tangy, easy to devour snacks, entangled in enticing spices are hard to find anywhere else. The other spicy treat that is a hot favourite with tea or other drinks is namkeen. An Indian gathering without namkeen seems only a stiff conversation while the spicy charm of namkeen can turn it into a cool and easy conversation. A namkeen platter is therefore a “must” for a party. When talking about sweets, a mind-boggling range of confectioneries and deserts, milk sweets and sugary delicacies are talk of the world and highly in demand. 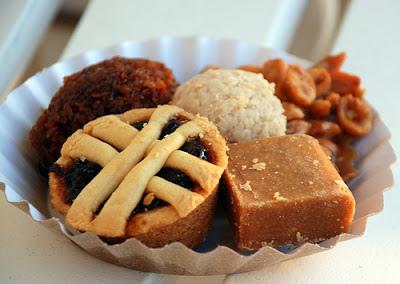 Indian sweets come in an enormous variety since India is the land of numerous traditions, cultures, cuisines, variety of ingredients and cooking style. With time and advancement of technology, Indian sweets have excelled itself in every field from taste to presentation to multiplicity. The Bengali Misthi or sweets like Rasgulla, Misthi Dahi, Pakiza, Malai Rabdi, Badam Angoori Petha, Pista King have won over the hearts of millions and are an integral part of any Indian celebration. The sweets like Kalakand, Gulukund Barfi, Kesar Peda, Til Buggha, etc. are equally famous in North India and various other parts. A party in India is incomplete and loses its fun without these mouth-watering sweets.